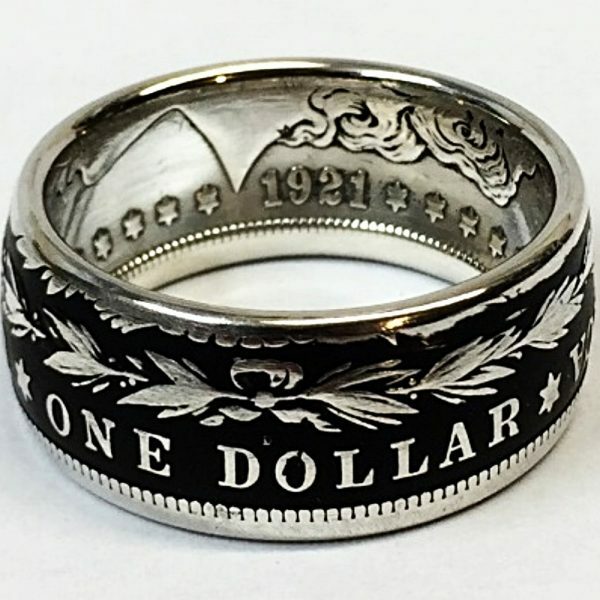 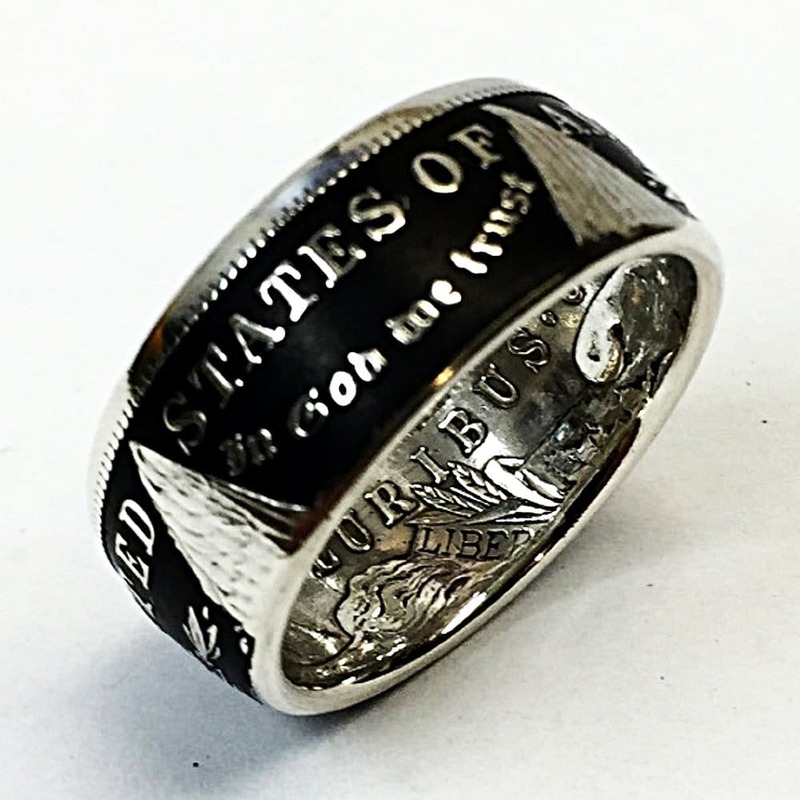 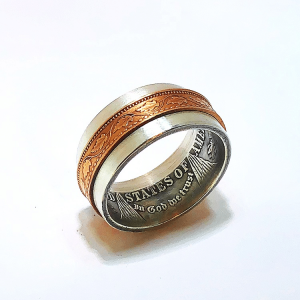 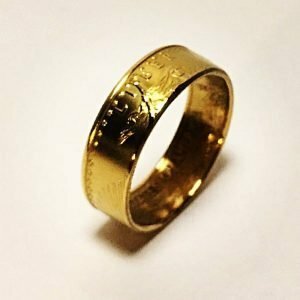 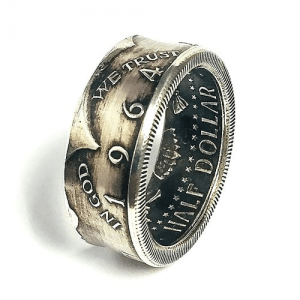 THE MORGAN DOLLAR COIN RING WITH A BLACK POWDER COAT FINISH OFFERS A STUNNING HIGH CONTRAST LOOK. THE DEEP BLACK BACKGROUND ACCENTS THE POLISHED SILVER PERFECTLY TO GIVE IT THE CATCH YOUR EYE LOOK. MINTED FROM 1878 TO 1904, AND THEN AGAIN IN 1921 THE COIN IS NAMED FOR ITS DESIGNER, UNITED STATES MINT ASSISTANT ENGRAVER GEORGE T. MORGAN. 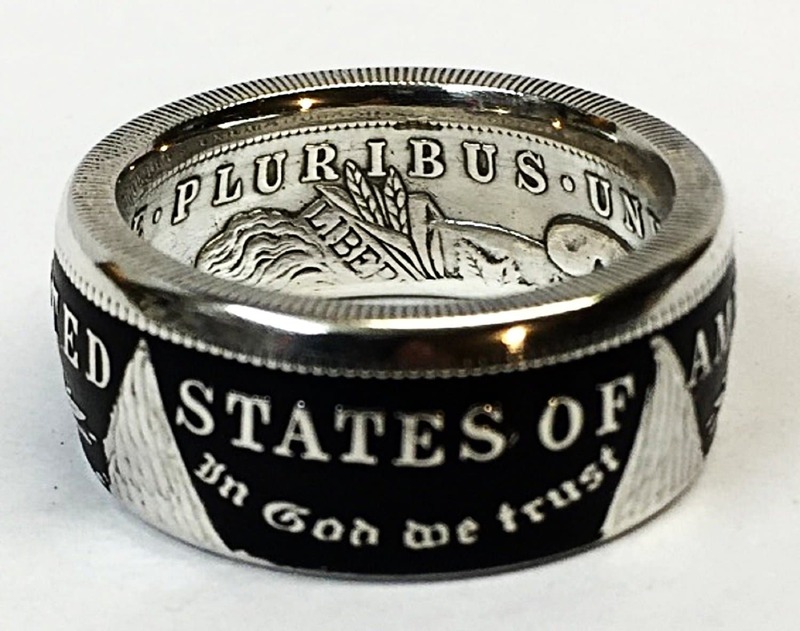 THE OBVERSE (HEADS) DEPICTS A PROFILE PORTRAIT REPRESENTING LIBERTY, WHILE THE REVERSE (TAILS) DEPICTS AN EAGLE WITH WINGS OUTSTRETCHED.